Grab Your Free Everstryke Pro Today! Let’s face it. The only thing cooler than hanging out with your buddies by the campfire that you built with your bare hands, is being able to tell them that you know at least a half a dozen ways to start a fire without matches. Not to mention that the ability to start a fire has always been and continues to be an essential survival skill that could very well save your life, or the life of someone you love. Today, we have a variety of handy fire-starting tools like lighters, waterproof matches, stormproof matches, strike anywhere matches (it’s starting to sound like that guy from Forrest Gump describing all the types of shrimp he’d make if he owned his own restaurant)… I think you get the idea. However, you may find yourself in an emergency situation where your survival depends on starting a fire… and you find yourself without matches or a lighter. When faced with such a situation, you are probably going to need a fire. Without a fire, your chances of survival can diminish, especially once the sun goes down and it starts getting cold, dark and wet. Even though you’re probably reading this in the comfort and safety of your home, it’s good to be prepared (and that’s probably why the Boy Scouts motto is Be Prepared). 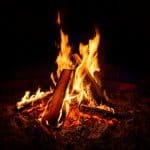 Tip: If you don’t know how to build a campfire, then check out our How To Build A Campfire post for step-by-step instructions. 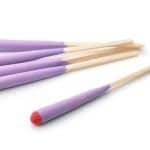 So, here’s what you need to know about starting a fire without matches. The most basic rule of starting a fire is that fire requires heat, fuel and oxygen to get going… and keep going. For each of the fire-making techniques listed below, you will need to gather some combustible materials. In order to create and maintain a flame, these materials need to be dry. You can use dry, flammable grass, pine needles, moss, or plant fiber as tinder (or you could keep a stash of vaseline soaked cotton balls in your bug out bag). This will help you nurture the sparks or embers created into a flame. It’s best to use pencil-sized pieces of wood as kindling and larger chunks of dry wood as fuel (fuel wood should be the same size as your wrist in circumference). Tip: Fatwood is our favorite type of kindling. If you don’t know what Fatwood is, be sure to check out our what is Fatwood FAQ page. • Areas protected from wetness offer the best chance of finding dry wood. When trying to gather dry wood, check the interior of logs and under ledges, especially if the location is damp. • Not all types of wood ignite the same. Some trees will catch fire more readily than others. For example, paper birch produces paper-like bark that can be an excellent tinder even when wet. The availability of some trees will often depend on the locality. So know your trees as best as you can. • Fire-starting is often taught as a necessary survival tool for life in the wilderness but this skill can come in handy even in an urban setting. Unfortunately, trees might not be as available in an urban area, in which case you may have to adapt. Consider using things like old furniture and books to get a fire started. Because of the risks involved, these friction based methods of starting a fire without matches are not for the faint-hearted. Compared to the other methods, starting a fire with sticks are probably the hardest. Friction can be used in different ways to make a fire. Even so, the type of wood used for both the spindle and fire board remains the most crucial aspect. You will spin the spindle against your fireboard to create friction. Sparks or embers can be created when enough friction is generated between the spindle and fireboard. These embers can then be nurtured into a flame. Walnut, cottonwood, willow, juniper, cedar, cypress, and aspen are the best types of wood for spindle and fireboard sets. 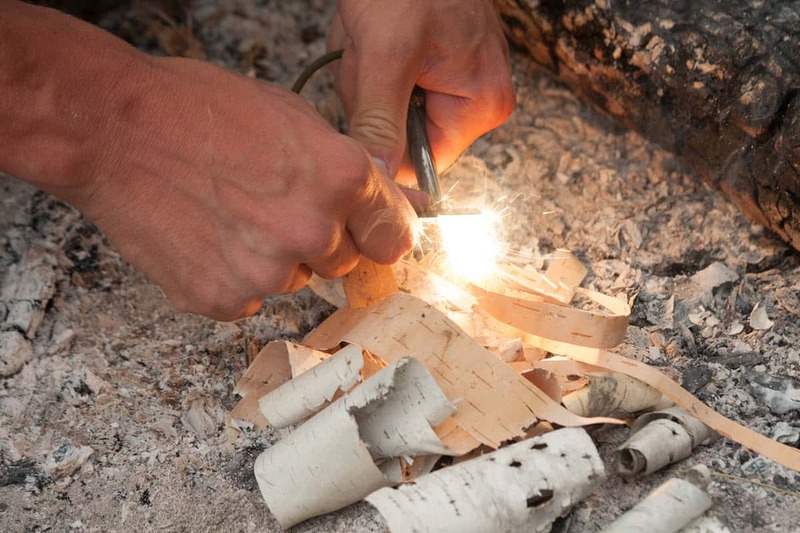 Regardless of the species, only bone-dry wood can be used to start a friction-based fire. So make sure you gather dry wood first. This is the most primitive, difficult and tiresome method of all. Effort and determination are therefore necessities. • Use dry, combustible plant material to build a tinder nest. Again, make sure the material used can catch fire easily. Dry leaves, grass, and bark are good options. You will use this tinder nest to nature the sparks created into a flame. • You’ll need a piece of dry wood to serve as your hand drill’s base. This wood piece is what we call a fireboard and you’ll drill on it to create friction. • With the help of a sharp knife-like object, cut a small, V-shaped notch into the fire board. Make the depression big enough to hold your spindle. • Put pieces of bark next to your V-shaped depression. The bark is meant to catch the sparks created from the friction of the spindle and fire board. • Place your spindle stick into the V-shaped depression you made on your fireboard. 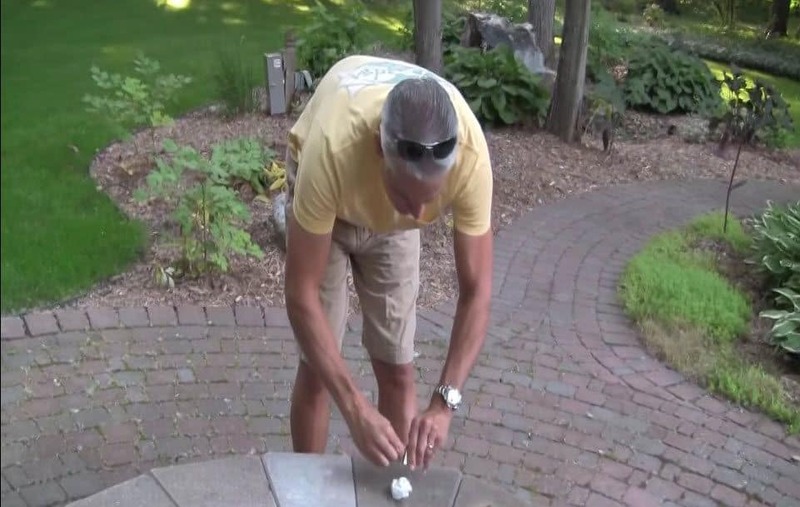 For this to work properly, you’ll need a spindle that’s about half an inch in diameter and two feet long. • Hold the spindle between your palms, pushing it firmly against the board. Make sure you maintain the pressure as you begin to move your hands back and forth, one after the other. This motion should effectively roll the spindle. Continue to roll the spindle as fast as you can until ember forms. • Tap the fireboard to drop the glowing ember onto the piece of bark and then transfer this to your tinder nest. Blow on the tinder nest gently to create a flame. It might take you a while or several tries to get a fire started. To create enough friction, you need to maintain pressure and speed. The bow drill technique allows you to do this a lot easier. You’ll need a bow and socket along with the fire board and spindle. • Find a heavy piece of wood or a stone to use as the socket, which you will use to put pressure on the rotating spindle. Wood with sap allows for better lubrication of the socket. • Use a long, slightly curved or flexible piece of wood to make your bow. It should be about the length of your arm. Use any strong, abrasive material capable of withstanding lots of friction to make your bowstring. You can use a strip of rawhide, a thin rope or string, or your shoelace. String your bow as tight as possible, using grooves or notches to anchor the string. • Prepare your fire board and place your tinder nest next to the V-shaped notch. • Loop the bowstring around your spindle once. Doing so in the middle of the string will provide more space for rolling the string back and forth. • Place the pointed end of your spindle stick in the V-shaped notch and use the socket to apply pressure on the other end. Hold the bow handle with your dominant hand. Start to saw back and forth, rotating the spindle as fast as possible. Keep sawing until the friction creates an ember. • Drop the ember into your tinder nest and blow on it gently to create a flame. Add dry kindling to the flame to get your fire going. • Cut a groove into your fireboard and whittle one end of your spindle stick. • Place your tinder nest at the furthest end of the fireboard. In this way, you will plow embers into the tinder nest as you rub the spindle against the fire board. • Place the whittled tip of your spindle into the track in your fire board. Rub it up and down the groove repeatedly. The faster you rub, the more friction you’ll create. • Once your tinder nest catches an ember, blow on it gently to get the fire going. When going on a camping or hiking trip, bringing some flint and steel is always a good idea. Regardless of the conditions, you can always get a spark from putting steel to flint rock. If you don’t have a flint and steel set on hand, you can always improvise. Pocket knives are usually made of steel and can be used with quartzite to create a spark. In addition to the tinder nest, you’ll also need char, which is easily combustible charcoal made from cloth. Once char catches a spark, it will continue to smolder without bursting into flames. But if you do not have any char, lightweight tree fungus or birch will do just fine. Make sure you use dry plant material to build your tinder nest. • Hold your flint between thumb and forefinger, allowing two or three inches of the rock to extend past your grasp. 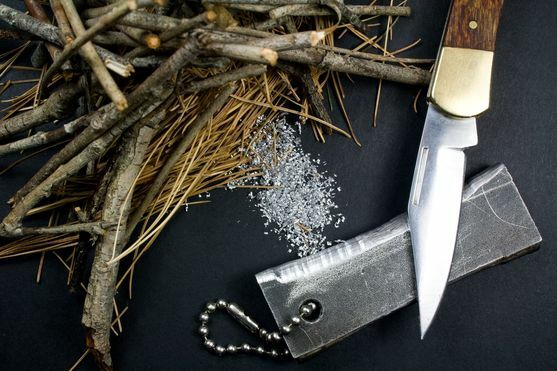 • With the piece of char held between your thumb and the flint, scrape your knife’s steel blade against the flint. • The sparks that fly off should land on the flint, resulting in a glow. • Fold the glowing char cloth into your tinder nest and blow on it gently to induce a flame. You’ll need a tinder nest for this technique. Use dry plant material for the tinder nest. 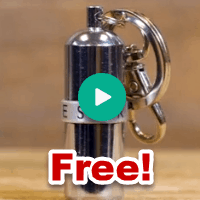 Any battery will work but 9-volt batteries are likely to ignite the quickest. • Locate the battery terminals. These are the two circular receiving prongs found on the top part of the battery. • With the battery in one hand and steel wool in the other, rub the steel wool against the battery terminals to create friction. This process generates a current through the small steel wires, and these will, in turn, heat up and ignite. Finer steel wool works best for this process. • You can also rub a metal paperclip against the terminals of a battery to create sparks. This process works the same way the wires in toaster ovens and light bulbs work. • As the steel wool starts to glow, blow on it gently to nurture the flame. Transfer the burning steel wool to your tinder nest. Don’t waste any time because the flame will extinguish quickly. • Keep blowing until the tinder ignites and add larger pieces of dry kindling to build the fire. Lenses can be used to start a fire in several different ways. The only drawback to using a lens is that this technique can only work when you have sun. Here’s a look at a few of these methods. You can use many different types of lenses to light a fire, including eyeglasses and binocular lenses. To create a fire using this technique, you will need enough sunlight. So make sure the sun is unobstructed. You can also intensify the beam of light by adding water to the lens. • Use dry plant material to build a tinder nest and place it on the ground. • Tilt the lens toward the sun to focus a small light beam on the tinder nest. To create the most focused light beam possible, you’ll probably have to test different angles of holding the lens. • Once you’ve achieved the best possible angle, hold the lens in place until your tinder nest starts to smoke and glow. Blow on it gently to nurture the flame. • Add some dry kindling to your tinder nest and you’ll soon have yourself a fire. I know this one sounds crazy, but I’ve seen it done on YouTube multiple times. Use the chocolate to polish the bottom of your soda can. By rubbing chocolate onto the bottom of your soda can, you can make it shine like a mirror. Toothpaste has the same effect and can, therefore, be used instead of chocolate. • Angle the bottom of your soda can towards the sun to create a highly focused light beam. Sunlight will reflect off this newly created parabolic mirror, forming a single focal point in the same way a mirror telescope works. • Aim the ray of light at your tinder nest and you will have a flame within seconds. Check out our complete “How To Use A Ferro Rod” tutorial to learn how to use a ferro rod the right way to start a fire without matches. 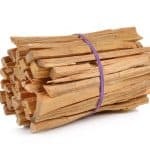 What Is Fatwood Fire Starter? 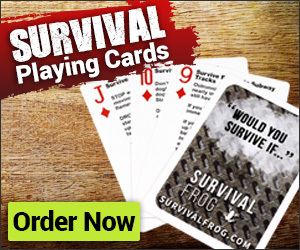 Which Survival Lighter Belongs in Your Bug Out Bag? © 2019 Profitable Results Marketing, LLC All Rights Reserved. As an Amazon Associate I earn referral commissions from qualifying purchases.